Airwoot is a social customer service helpdesk, using a sophisticated filtering and priority engine that separates social chatter from relevant support queries, which enables brands to deliver real-time customer support on top of social media. On April 3rd, Avinash and I had a telephonic chat with Saurabh Arora on the story behind Airwoot, their current customers and future roadmap. [Airwoot]: We were a bunch of PhD guys who got together in December 2011 to experiment different things on social media and extracting intelligence out of it. One of the things that we tried was to find who was reading what as this will give insights on who is purchasing what kind of books. While on it, we realized more consumers were found complaining about the product than accepting and endorsing the product. Then we turned our focus to figure out how companies and brands were responding to such complaints. We started tracking some of the active international brands on Twitter and realized that they were not able to handle the social engagement appropriately with often slow and ineffective responses. We studied the tools which these brands were using to do social customer support, and realized that there was no optimized solution out there for brands. We came up with Airwoot to solve this problem. Airwoot uses the combination of data science and user experience offering a smart customer service helpdesk which enables brands to deliver effective and real-time customer support on top of social media. Q. Please tell us a bit about what your product does. [Airwoot]: Airwoot uses sophisticated natural language processing and machine learning techniques to pick out the actionable conversations in real-time. It automatically identify people who need engagement in real-time. The more brands and marketers use it the smarter it gets. Airwoot captures your social etiquette and creates a social priority inbox for you. The Airwoot team has built tools and framework from scratch to understand the new language of social media and how a brand interacts with these messages. Basically, brands sign up on Airwoot and connect their social channels Airwoot listens in real-time each time users mention brands on social channels. It then identifies customers who need help from the brand and collaborates with the company team in real-time in order to provide support. It sets and tracks measurable social goals such as service levels for responses and customer satisfaction. It also manages complex workflows with a brand’s multiple social media channels. Which social media platforms do you cover? [Airwoot]: We cover Facebook, Twitter and Google Plus. We are not there on LinkedIn and we do not intend to cover it in the recent future. What kind of analytics support does your tool provide? 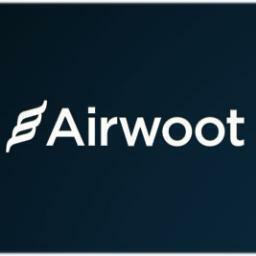 [Airwoot]:Airwoot’s philosophy is to find deeper insights about social traffic and figure out trends from this traffic. For example, if a user has complained about delivery more than once, there could be a potential trend. Our algorithms than figure whether others are having similar complains and how often it is happening. Brands can dive into details of different metrics and also generate reports such as pivot tables on the fly. We are also doing a lot of analytics on the performance side. Companies can view how their team is performing and set social goals on Airwoot. E.g. companies can view the response time and assess whether their goals are being met. What kind of sentiment analysis does Airwoot do? [Airwoot]: We get this asked a lot. We are not just doing sentiment analysis. Sentiment analysis is about saying positive or negative about something. We go into actionable analysis. At Airwoot, we have built a powerful semantic engine which filters and classifies each social media mention in order to figure out if it requires the brand response or not. The tool tells brands whether there is any actionable item for them, and when they take an action, the tool learns from it and adapts accordingly. [Airwoot]: Different brands are able to see different results and improvements by using Airwoot. MakeMyTrip is among the fastest online brands while responding to customers on social platforms. Earlier, their response time was 3.5-4 hours and this has now come down to less than 17 minutes. Jet Airways is successfully using Airwoot to talk to disgruntled flyers. A lot of celebrities use Jet Airways and a social media post by any of them about a bad flying experience can be a disaster for Jet Airways. Airwoot provides them with real time crisis alerts telling them whether the conversations could go viral and that they should contain them. Jabong on the other hand is using Airwoot to delight their customers when they face repeated problems. E.g. if a customer has faced delivery problem twice, send them a coupon or something. Airwoot seems to use advance Natural Language Processing and Machine Learning algorithms, which form the core of the product. How are you protecting your IPs related to this? [Airwoot]: Patent filing is both a time consuming and costly affair. We are beginning the process for it. Also, we have also believed in going for 10x improvement rather than 10% improvement. This means that our algorithms are constantly upgrading and ensuring that we stay ahead of our competitors. How does the roadmap for Airwoot look like in the next few months? [Airwoot]: We are going to go deeper into analytics and devise diagnostic algorithms that will also tell brands why certain metrics are going down or not performing as envisaged. [Airwoot]: The biggest challenge that we face is the lack of understanding of social media among marketers. While everyone thinks they are a guru, but most brand managers are not clear about what they want to achieve on social. Hence a lot of our effort goes in educating customers. How did you manage to rope in big brands in such a short span of time? [Airwoot]: Our investors helped us open the doors to some of the brands. However, they can only open the door, it’s the merits of the products that help decide whether you stay inside the door or not. We received good feedback about our product from our initial customers and the word of mouth took us further ahead. Are you going to go international soon? [Airwoot]: Yes, we are going for an international launch soon and you would be soon hearing about it.